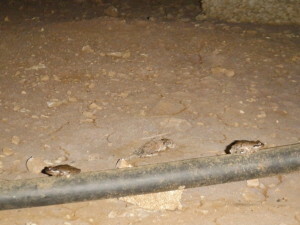 You never want wildlife in your crawl space. Much of the time we see squirrels, mice, the occasional raccoon, but yesterday, it was all about frogs. The picture below was from a crawl space that had holes in many of the foundation vents (allowing access into the crawl space). 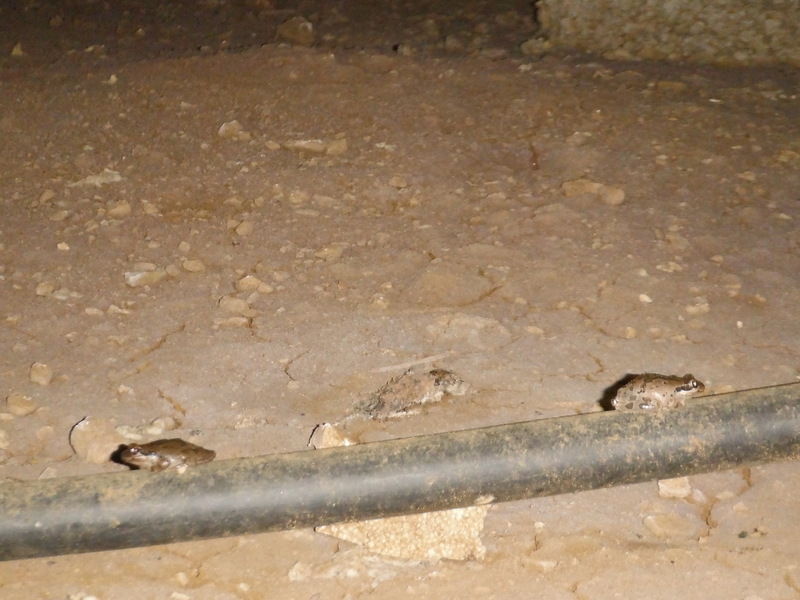 The frogs are lined up on an above ground water line that came from a well outside and was quite warm. Combined with the excessive moisture in the space, this was a real amphibian pleasure palace.